View More In Decoys - Page 6. 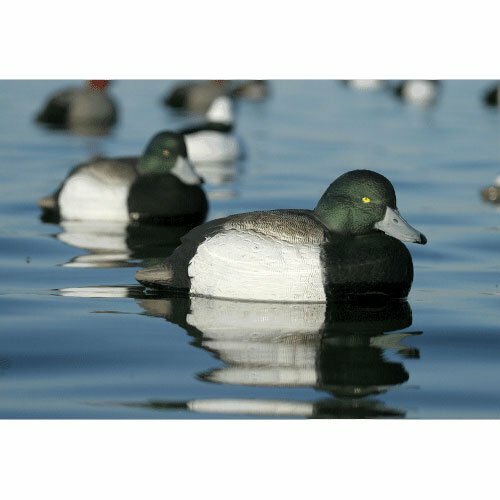 The Over-Size SeriesTM Duck Decoy line-up offers great visibility at the best "big block" value! These ultra-realistic decoys sport vibrant colors, intricate feather detail, true-to-life durable paint, and anatomically precise shapes that ensure great visibility and realism, even in heavy chop. Their sturdy construction combines lasting durability with light weight. Features Anatomically perfect head and body postures Defined feather texturing and custom paint schemes provide ultimate realism 60/40 Snap Keel 6 drakes per carton Drake: 15 ½" x 7 ½"
Drake: 15 ½" x 7 ½"
If you have any questions about this product by GreenHead Gear, contact us by completing and submitting the form below. If you are looking for a specif part number, please include it with your message.